Looking for a nice, quiet and uncrowded place to unwind? Lake Michigan beaches are known for being the perfect place to relax and enjoy the sand, water and frequently – awesome sunsets! 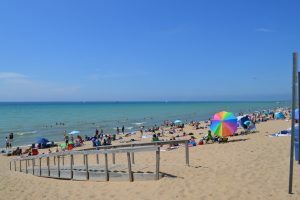 A trip to the Saugatuck area is not complete without a visit to one of our several beaches. Whether you are looking for that uncrowded beach experience or something with a little more excitement, there is a place for you. The Saugatuck area offers several beaches, wildlife reserves and interesting recreational areas that are perfect for hiking, biking or just plain relaxing. 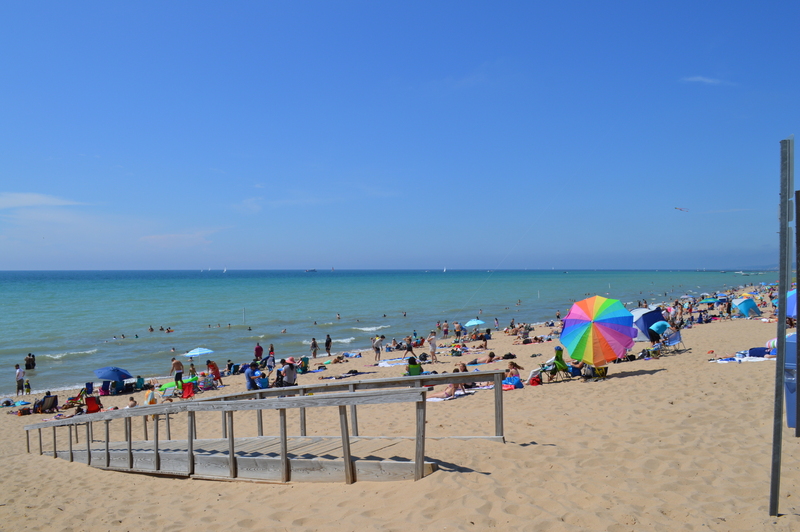 Contact us for recommendations on how to best enjoy the Lake Michigan beaches and lakefront. Fresh water sand dunes are a major feature of the Lake Michigan shoreline. Some dunes are over 200 feet high, so climbing through the sand can be a bit of an exercise! Our fresh water dunes are a unique part of the Lake Michigan ecosystem and are very much worth the effort to explore. Ranked as one of the top 25 shorelines in the world by Conde Nast’s Traveler, Oval Beach offers seclusion as well as just the right amount of services. Parking, concessions, and showers are available to make your visit more enjoyable and comfortable. Couples and families spend entire days on the Lake Michigan shore enjoying the fresh breezes and soft sands. Mt. Baldhead, or “Mt. Baldy” as it is known to locals, is a large sand dune requiring 282 steps to reach the top. For those that make the climb, the view and experience are well worth it. Freshwater coastal dunes – some over 200 feet tall – are found along this secluded part of the Lake Michigan shoreline. Popular with hikers and bird watchers, Saugatuck Dunes offers over two miles of beach and a 300-acre natural area. This area is popular with hikers and requires about a 10-minute walk to get to the shoreline. A smaller, neighborhood beach in nearby Douglas offers a very quiet environment that is perfect for walking, hiking or just plain doing nothing. The area has picnic tables, grills, a restroom facility, and some parking. Of course, you can’t be near the water and not have great sailing and boating! Saugatuck is located on Kalamazoo Lake and River. Boats and ferries are available for taking in the sights, including sunset sailings and harbor cruises. These are very popular with visitors and are affordable ways to see the area from the water. Be sure to check out the interesting retro boats and chain ferry while you are here. You won’t see many watercrafts like these anywhere else! Jet skis, kayaks, and canoes are also great ways to enjoy Saugatuck. Boat and equipment rental companies are available to connect you with a more personal way of getting on the water. When your day at the beach or on the water comes to an end, most visitors return to Saugatuck to enjoy the shops and galleries. A great many local restaurants offer unique dining experiences to suit any taste. Contact us for recommendations on food and restaurant options. 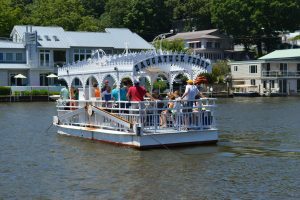 Have questions about visiting Saugatuck or the Lake Michigan shore areas? Contact us for recommendations when you book your stay at Twin Oaks Inn. Or visit the Oval Beach and area website for more information.